New Year means new wishlist, new needs and wants. 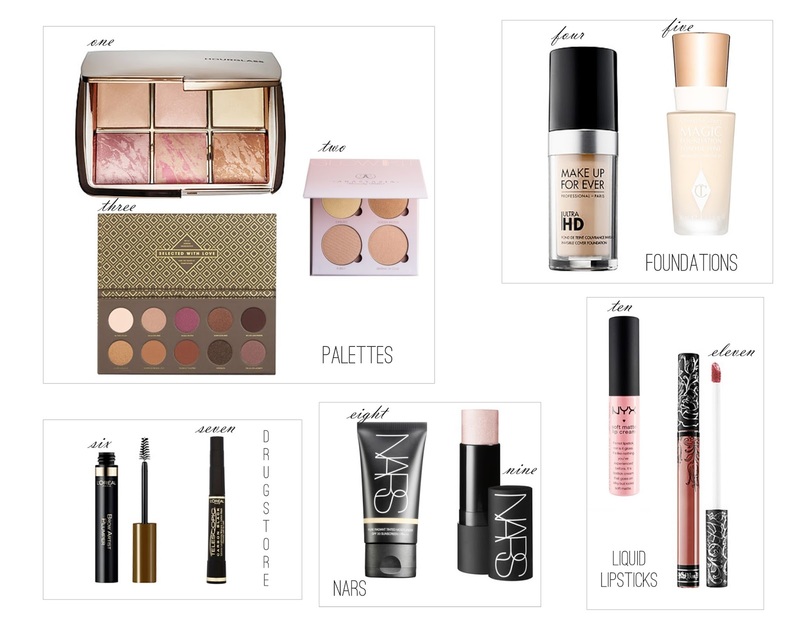 It looks like one of the best all rounder palettes out there! Two Sephoras, always sold out at both...this is really popular these days. I need this in my life! New highlighters palette from Anastasia Beverly Hills. This palette looks so beautiful! It has been on my list for a while now. This year I'll start the hunt for the perfect foundation for the wedding day, something with a flawless finish and that looks good on photos. These two are on my list to try next. Two products I really want to try from the drugstore, I heard good thing about both. I love Nars as a brand and these two are always on my list. I'm especially interested in trying out The Multiples! Liquid lipsticks are so popular right now and especially those Kat Von D lipsticks which I'd love to try.